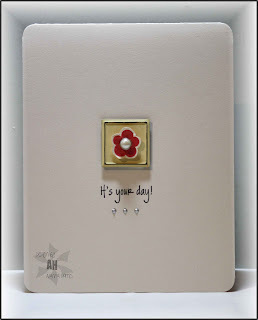 Today I am posting a card I made from a leftover...I made a card for Monday's CAS challenge which I didn't upload 'cause I didn't love it...and this metal square with a flower in the middle was something I had made, tried on that card and didn't end up using. This is just so simple and elegant. Love it. I'm new to your blog and have put it into my faves. 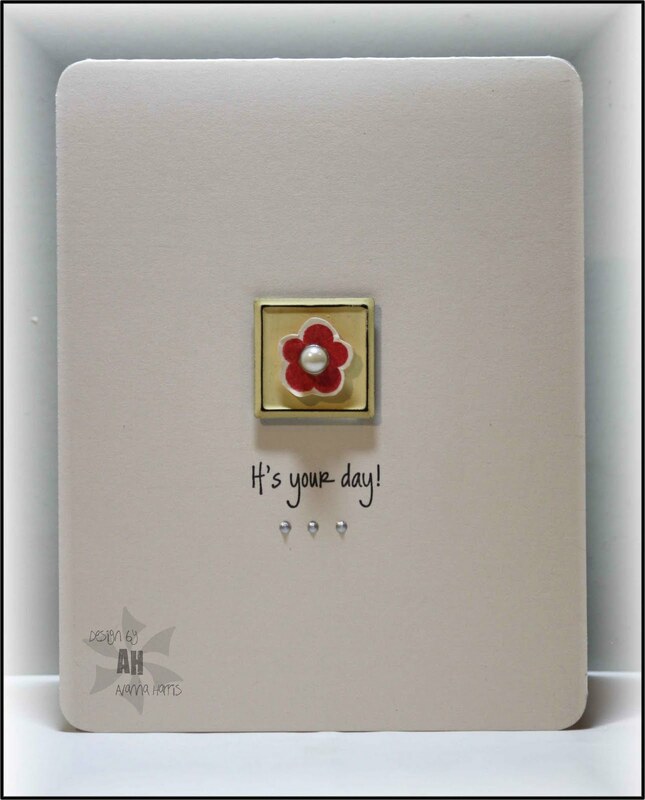 Thanks for the inspiration and keep up the great cardmaking. 2 minutes -- WOW!! This is so pretty! !